Your hair cutting scissors should be serviced every year during normal use but if you create more than average number of cuts then we suggest a service twice per year. 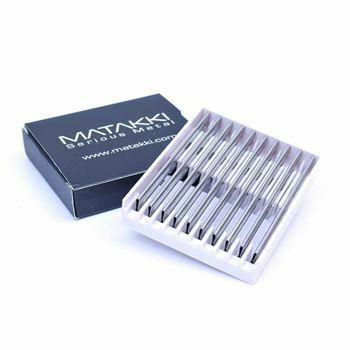 Your scissor should always be serviced by a qualified Matakki technician otherwise you could invalidate your lifetime warranty. Our service includes a detailed pre-service inspection report followed by a deep machine polish to rectify any edge faults. We then polish the ride area and hone line using a Japanese glass stone with a grit rating of 6000, this is an essential part of the service process. You can have a perfect convex edge but if the ride line is not polished then your scissor simply will not glide. The next process is gentle work with a diamond wheel to recreate the cutting edge, this process takes away a very small amount of steel to create a burr. 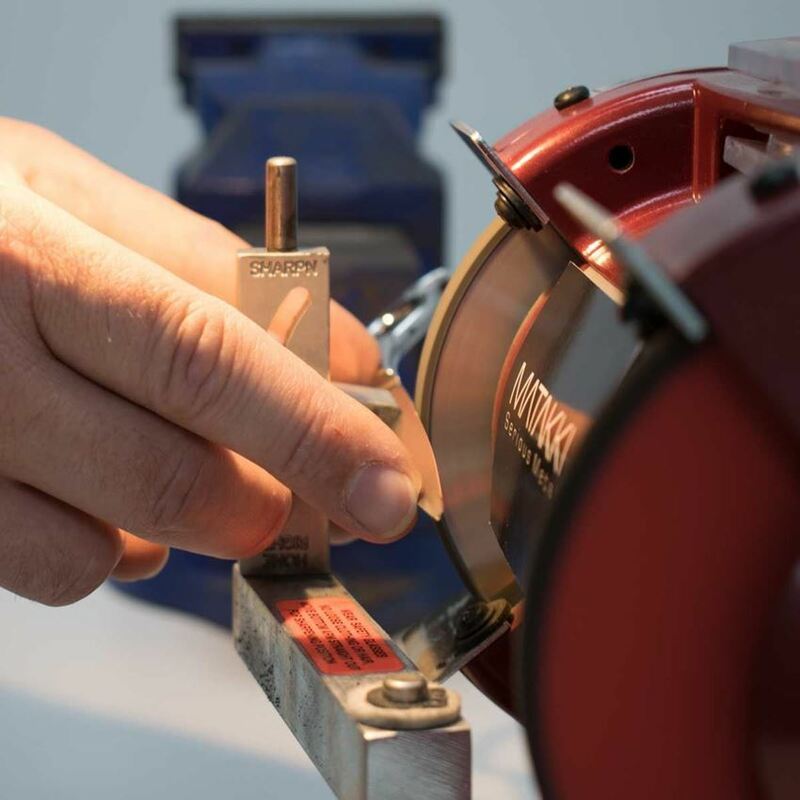 Next the blades are worked on a leather polishing wheel to convex your scissors to the correct angle. We then check the scissor balance and sett, rubber stopper, tension screw system and finger rest and make any required corrections and replace any parts if needed. 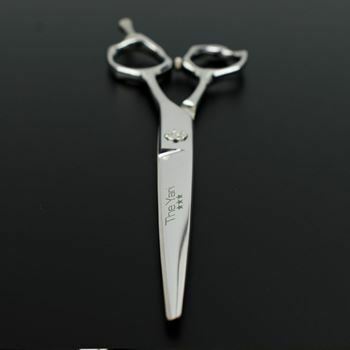 All scissors are then cut tested in both wet and dry tissue, cleaned, oiled, polished and returned back to you in as flawless condition. Please add any specific notes about your scissor to the “order notes” section. Add details of any issues you may be experiencing with your scissors, for example, you may have dropped them and they are not cutting at the tips. Once your payment has completed, print your email receipt or invoice and place together with your scissor in your secure package. You must include your receipt/invoice so we can book your scissors into our service centre quickly, failure to add your invoice will slow down your service. Do You Know How To Tension Your Scissors? Return the scissor securely packaged, we recommend the original scissor case or packed in heavy grade cardboard folded over to protect your scissors. Please ensure that you return this in a padded envelope for added protection and please enclose your receipt/invoice. Please ensure the parcel is returned as a tracked delivery and keep the tracking number in your possession. If it is not returned via this method and subsequently lost we will not issue a replacement.